As previously stated, my resolution for March is to complete at least 4 10-man squads, or equivalent. 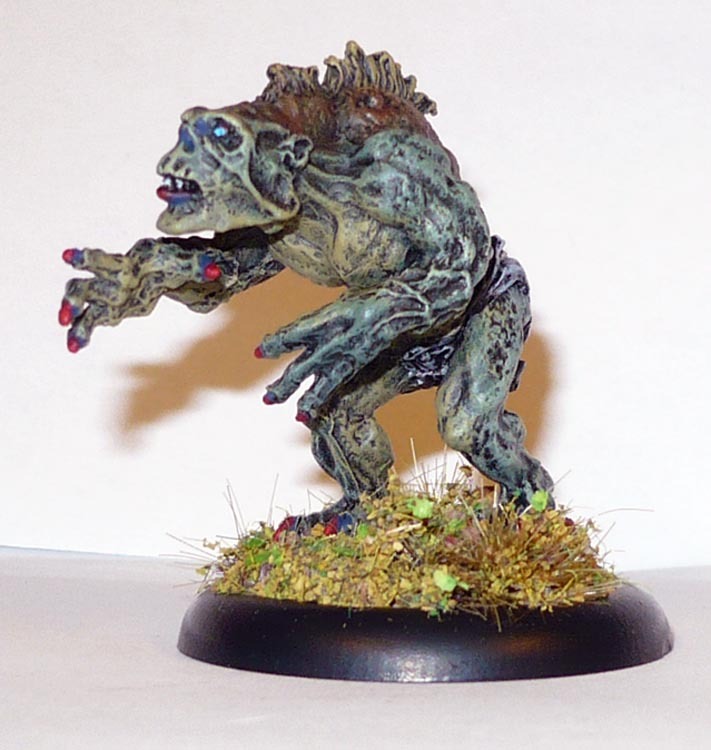 at any rate, I have completed the group of Stranglers from Shadows of Brimstone. No prize for spotting the inspiration for the colour schemes. So that’s 5 more squaddies down. Which makes 10 squaddies in all, enough for the resolution target this week. 25mm bases, HIPS plastic / restic conversions. Not very pleased about the shininess, which is due to the old inks used. 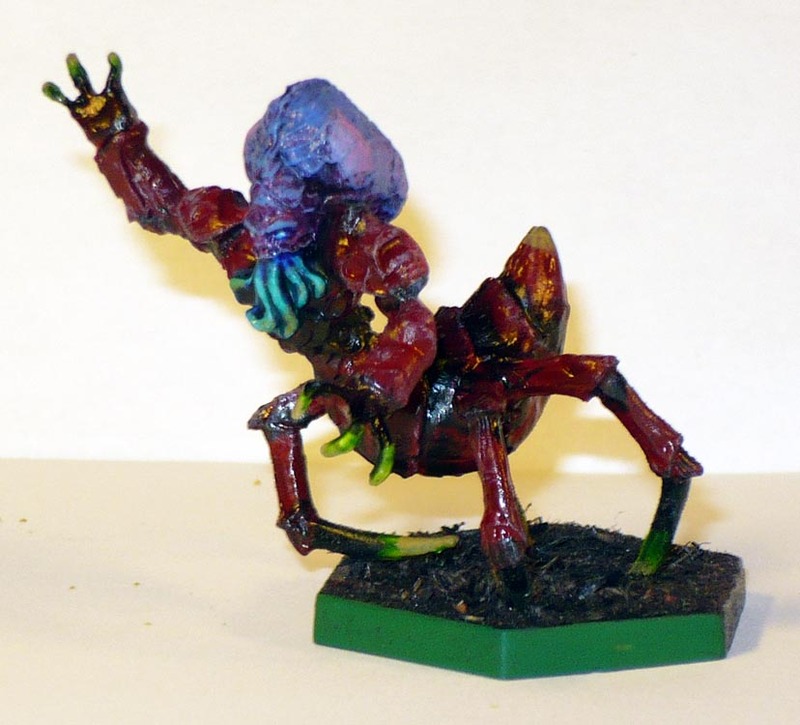 I had to ask on the Reaper forum to find out what this one was. Turns out it is Dark Sun (a desert setting) which means the original lives nowhere near a swamp! 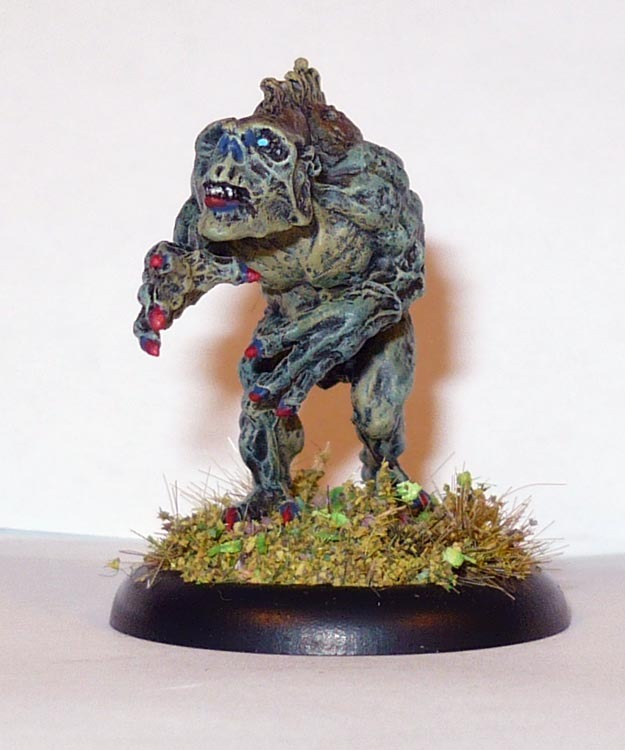 Citadel Lord of the Rings Ringwraith on foot. 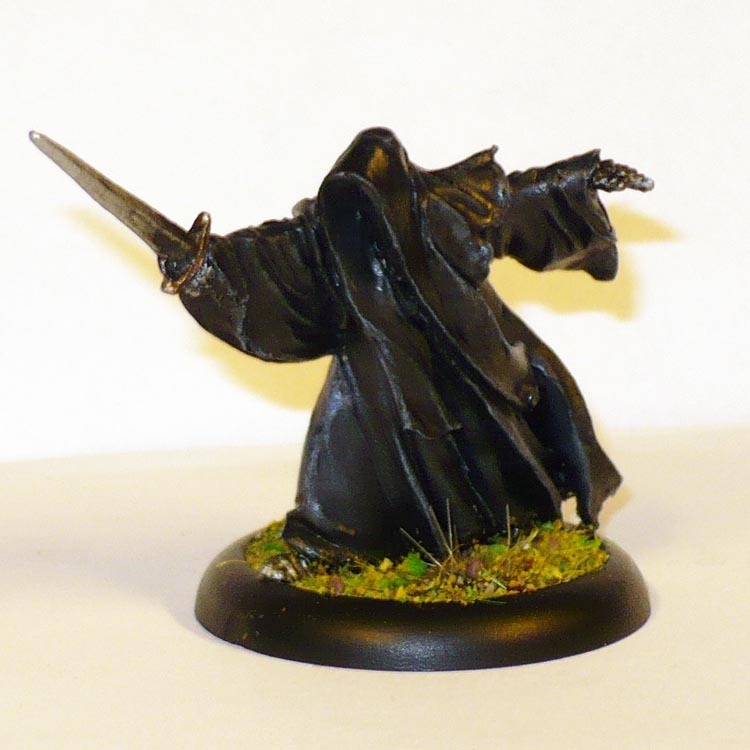 I find black cloaks often look better when painted dark, dark grey with black washes.